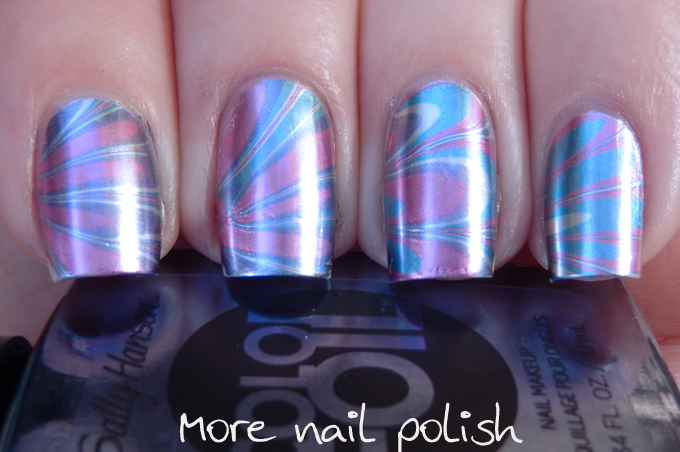 A few weeks ago I spotted a lady selling a bunch of Minx nail wraps on an Aussie nail polish sale site. I was pretty excited to see that she had a whole bunch of metallic designs (and they were only $5 a set!). 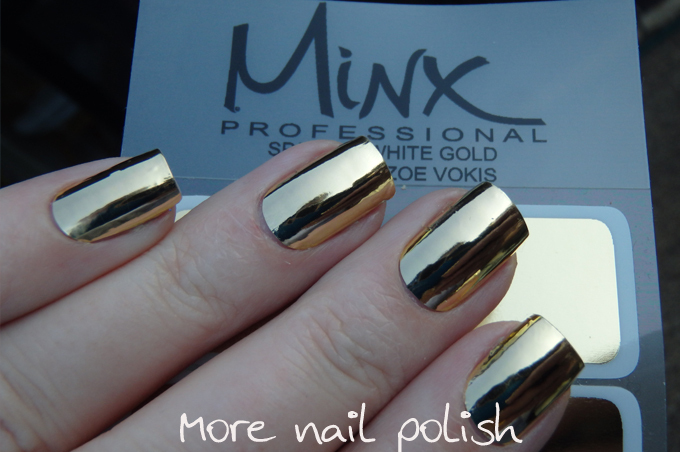 I remember reading reviews about Minx way back in 2009 on All Lacquered up, and then more recently in 2013 on ChitChatNails, and ever since I've really wanted to try them out. When Minx Professional wraps first came out, there was nothing else really like them. Today however there are so many different brand of nail wraps. So far in my testing, I've come across three types of nail wraps. Wraps made of nail polish, which will dry out after they have been opened and can be removed with nail polish remover, think Sally Hansen and Incoco. Wraps that require heat activation to ensure adhesion and need to be reheated to soften glue to remove, think Jamberry and Minx. I've only ever seen Minx available as a salon service, as they aren't designed to be applied by your average Joe at home, but how hard can it be, right? I used a small fan heater to heat these up as I was applying them, and I nearly managed to get them applied without any wrinkles on the sides (if you look closely you will see some). I didn't find them any more difficult any any other brand to apply, but I can't really comment on the wear, because this is the 31 Day Challenge after all and ain't nobody got time for that. My Metallic nails from 2013 and 2014! omg, i´m in love. 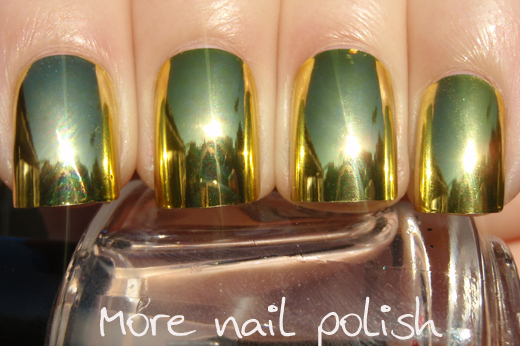 that´s the perfekt mani for metallic. Wow that's so shiny! Like a mirror! :D Just love it! 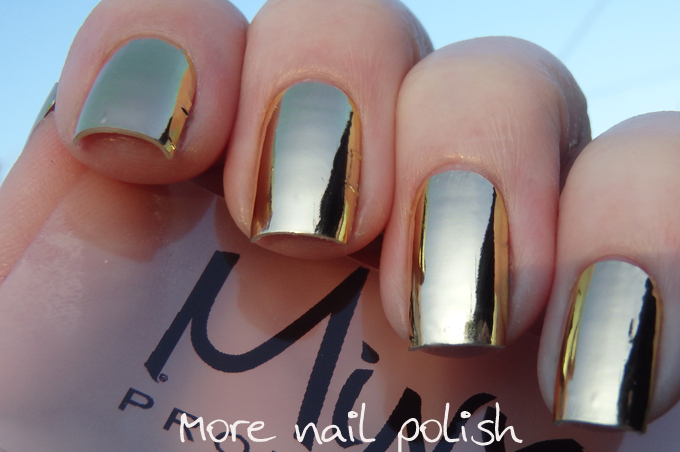 I really wish and hope a nail polish brand somewhere out there is working on a formula to make a liquid gold metallic polish (like the Layla mirror ones!) A girl can only dream!